Last night I did something brave – I played in a church basketball game. Last night after the game Super Mom told me that it was not a brave thing that I did but rather something bordering on insanity. I think wives and mothers all hold the opinion that it takes more courage to stay away from church ball than it does to be a willing participant. Many of us for many years treated church ball as a blood sport and a stepping stone to the NBA even though the former is far truer than the later. A lot of blood has been lost in church ball, never has anyone made the jump from the local church gym to the Los Angeles Lakers roster. It is an unfortunate irony that our church leaders implemented the church basketball program to fellowship and build camaraderie among its members but anyone who has played church ball knows that it has probably chased away more members than it has helped to retain. People take it too seriously, especially people who think that winning the church basketball tournament is something to brag about. 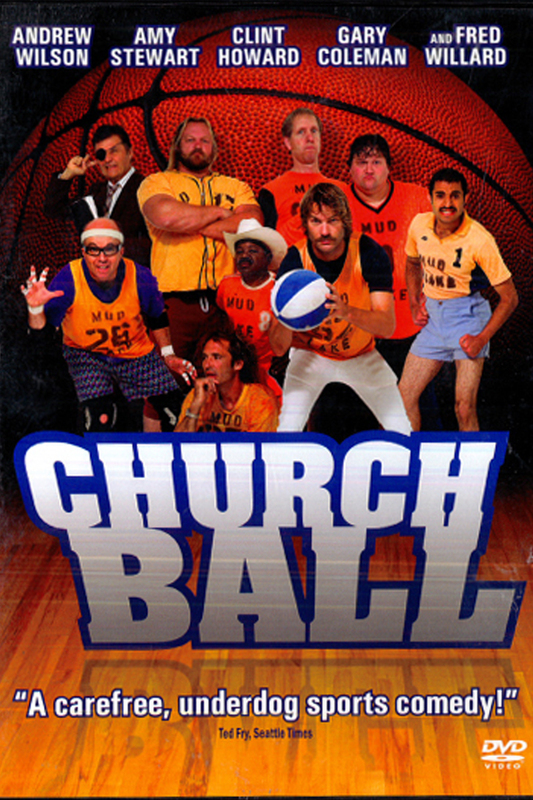 In church ball there are a disproportionate number of guys who think that since its church ball we are all going to magically stop cheating, play fair and act like the prayer we say before the game is going to make a difference once we start gouging eyes, scratching like cats and yapping like little children in the nursery. I have heard every kind of colorful (and distasteful) language, every justification for bad behavior, every type of antagonistic, hostile and unfriendly aggression known to man within the hallowed walls of the church and most of that misbehavior was committed by me – the natural born instigator. After that display of unsportsmanlike conduct, I gathered up my belongings, exited the building, drove home in a daze and solemnly hung up my church ball boots for a time. It was a good five years before I broke my oath to never play a game of church ball again. When I finally accepted the invitation to play I had moved to a new city (Lehi, UT) and my timidity was due in part to a gaggle of new faces and a hypersensitivity to the realities of the game that had passed me by. Would the experience be different now that I was in a different town? Had any changes occurred in the attitudes of the players since the last time I donned a cheap jersey and ill-fitting short-shorts? Dejectedly, I soon realized that nothing had changed except the location and the faces. There were still flare-up’s, foul language and yes all the hacking, pushing and sweaty slapping hands that still made my blood boil. So I hung them up for another two years until last night. Last night I found that I actually enjoyed the experience – a lot. It was baffling but I had a great time. Why? Well, maybe it had to do with the fact that I was playing with a group of guys who are u;tra competitive but who also accept defeat when you have done your best and you lose to a team that has given their all without trying to rip your skin off your chest when you’re going for a loose ball or try to scalp you every time you come down with a rebound. Maybe I enjoyed it because I was so oxygen-deprived that I was light headed and all I was really concerned with throughout the game was making it to the final buzzer so that I could collapse from exhaustion. Or maybe it’s because one can’t help but have fun when you’re real goal is not to beat the team you’re playing but to try and make it up and down the court one more time. I can’t really run, jump or shoot anymore so really I’m battling myself for 40 minutes (and the hour after the game when I can finally breathe another breath without feeling like my lungs are being kicked by a kangaroo). Or, maybe I’m just learning in my old age that I’m actually enjoying church ball more because I’m doing it for the purpose that it was intended: to build a camaraderie and a friendship with the guys whom I call ‘Brother’ every day of the week. Whatever the reason I think I’m going to brave again next Tuesday. I know, I’m insane. Previous Previous post: Does this match? It is sad when the game has come down to battling yourself… what’s worse is I alway lose. I’ve gotten to the point where I have even fouled myself, on multiple occasions, and when I get really upset and want to knock myself out I just bench myself until things blow over. I am really good at being my own water boy and can even do a mean tape job on the jammed fingers I get from… dribbling… while retrieving the ball during the game that I am just observing. It’s not getting any better so I will quit. Hahaha. C’mon bro. Like that cheesy tweener show from a few years back sang, “We’re all in this together…” I totally understand where you’re coming from. I’ve had to bench myself plenty of times in the past. But now it’s just a matter of getting through and having fun.